Dr. James W. Baker was born and raised in Wisconsin. He attended the University of Washington where he received a bachelor’s degree in chemistry. 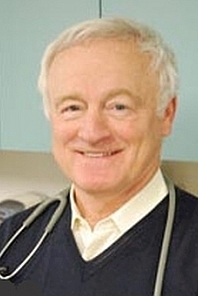 After graduating from the University Of Wisconsin School Of Medicine in 1970, he completed a pediatric internship at the University of Vermont then returned to the University of Wisconsin for a pediatric residency. In 1972, Dr. Baker became chief resident and earned The Student Teaching Award. Under Dr. Charles Reed, one of the foremost allergists in the country, Dr. Baker completed an allergy and immunology fellowship before entering into private practice in 1974. For his 36 years of service in the Portland area, his colleagues named him “one of Portland’s finest” physicians. Baker Allergy Asthma and Dermatology is one of the few offices in the country to offer a new food allergy risk reduction therapy. This therapy can provide a long-term solution for patients with peanut, egg, milk, wheat, or other food related allergies. The treatment starts with minute doses of peanut, egg, milk, or other food protein, in solution. Then gradually, over a period of one to four months, increases are made until an amount greater than a usual bite is achieved. At this stage, the patient is in what can be referred to as a “refractory state”. Maintenance of a refractory state is dependent on persistent exposure. The patient must remain on a regular dose of the food in question indefinitely. This program is designed for patients age 4 and older, old enough to understand the reasons for participating and be actively engaged in the process. This treatment is not curative. If regular exposure is not maintained, a return to a reactive state occurs in a percentage of patients. The intention of the treatment isn’t to help kids eat large amounts of peanuts, but to prevent a life-threatening allergic reaction in case they accidentally eat trace amounts. Our goal is to get the patient “bite-proof”. As with every treatment, oral food desensitization is not for everyone, but we have been highly successful in our treatments so far. We have a number of patients (over 250), mostly children ages 4-18, that have now graduated from the program and maintain a regular dose. This program is designed for a person age four and older, one old enough to understand the reasons for participating and be actively engaged in the process. If you are interested in learning more please call our office to schedule an appointment. At the first appointment all the pros and cons of both continued avoidance and treatment will be discussed.